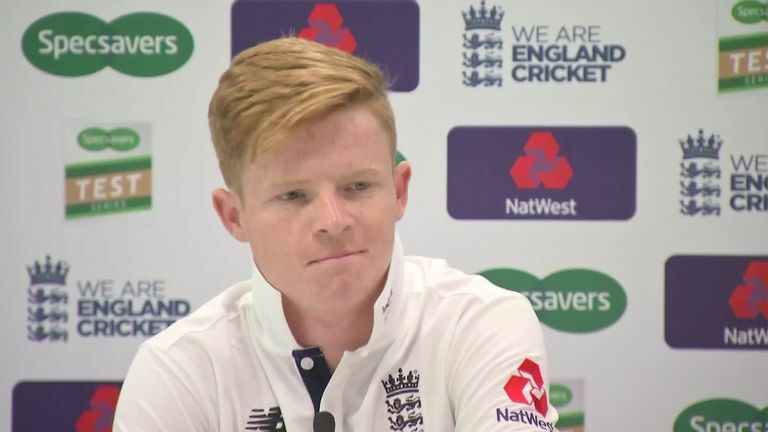 Surrey's Ollie Pope will make his international debut on Thursday after being named in England's XI for the second Test against India at Lord's, live on Sky Sports Cricket. Pope will bat at four after being included in the squad earlier this week at the expense of Middlesex's Dawid Malan. The 20-year-old has been in prolific form this season in the County Championship, scoring 684 runs in eight matches - and lines up along Surrey team-mate Sam Curran, who was named man of the match in only his second Test after helping England secure a 31-run victory. 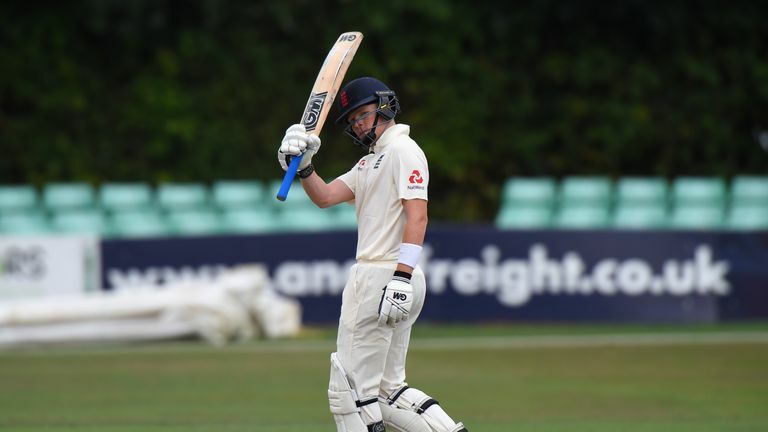 England captain Joe Root explained the decision to have Pope bat at four, despite the Surrey batsman having batted at six in all his 15 first-class matches for his county, saying: "Ollie will come in and bat at four. "He's obviously batted at six for Surrey this season - but having seen him play a little bit, and the way his game is set up, I think it's very much transferable to bat at No 4 in Test cricket. "I know that might be seen as quite a big jump. But he's obviously an exciting talent and, with the guys around him, I think he fits nicely into that position in our team." 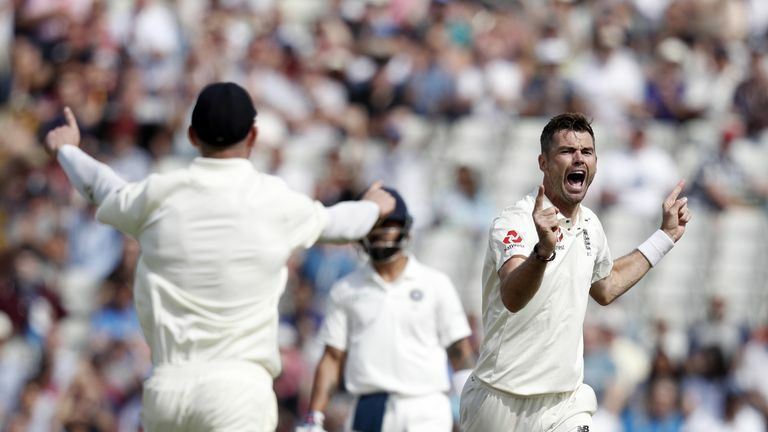 With Pope being a right-handed batsman, England's top six will now only include two left-handed batters - who struggled against the spin of Ravichandran Ashwin - in openers Alastair Cook and Keaton Jennings. Despite his young age, Root is excited about seeing how the Surrey batsman copes on the top stage of world cricket. "I think he's performed exceptionally well this season in County Championship cricket," Root added. "He's played some very important knocks under pressure for Surrey, and he's got a very good all-round game. That's a very exciting prospect for such a young man, to have the ability to play in that manner. "I'm looking forward to him, more than anything, just going out there and being himself - and playing exactly as he has done throughout this summer." With Ben Stokes unavailable for selection - the all-rounder, accused of affray, is currently on trial at Bristol Crown Court - either Chris Woakes and Moeen Ali will step into the No 7 spot depending on the pitch and whether England want to play a second spinner alongside Adil Rashid. India could also go into the Test with two spinners, with Kuldeep Yadav likely to get the nod to team up with Ravichandran Ashwin ahead of Ravindra Jadeja. "It could be a tempting thought, two spinners are definitely in contention," said captain Virat Kohli. "The pitch looked very hard, the surface very dry. It has been very hot in London for the last couple of months. "There is good grass cover, (but) that is required basically to keep the wicket together - otherwise it would be very difficult to hold it together." 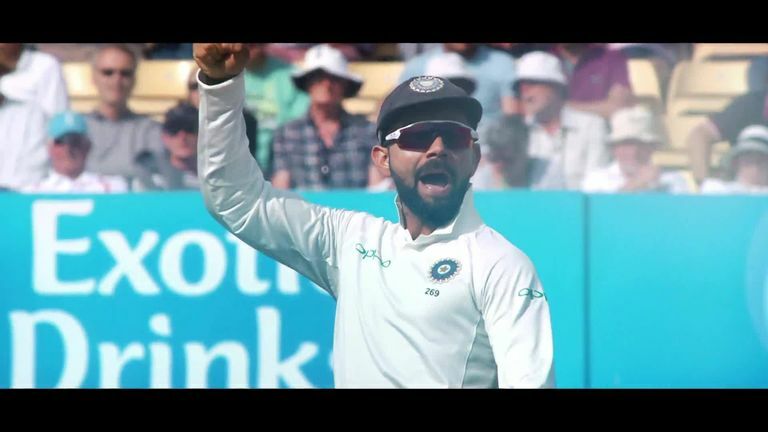 Kohli, whose magnificent first-innings century and second-innings rearguard could not save his side from defeat at Edgbaston, also had some mixed advice for England's newest recruit, Pope. "It is going to be a big occasion for him," said the world's number-one batsman. "I am happy for him - as a cricketer I understand how important it is. I will tell him to enjoy the occasion and not get too many runs!" England squad for second Test: Cook, Jennings, Root, Pope, Bairstow, Buttler, Woakes, Moeen Ali, S Curran, Rashid, Broad, Anderson. Watch the second Test between England and India live on Sky Sports Cricket from 10am on Thursday.